MERVYN LEONES—pride of Legaspi City, distinguished alumnus of St. Agnes High School, internist-extraordinaire—celebrates his birthday today. I'm writing about him because he will be thrilled at the attention; he is very easy to please. 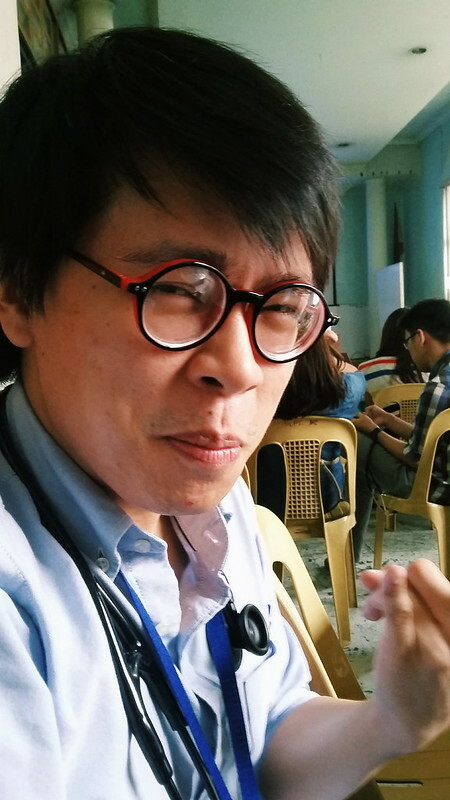 In the photo above, we see him overseeing the consultant rounds at the Pay Wards (this was halfway through residency, I think, and he had mustered enough bravado to do just that). He looks intensely at us, making sure we all pay attention to the details—and we do, save for Roland Angeles, who looks at the camera anyway. 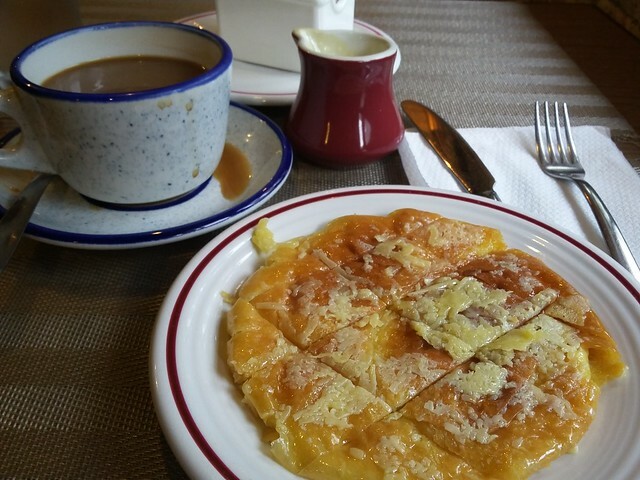 At HIZON'S Bakeshop—an old restaurant along Bocobo Street in Arquiza Ermita, Manila—I'm enjoying a cup of perfectly delicious coffee partnered with grilled ensaymada, the store's signature dessert. The place is empty, save for two gray-haired men who look like they've been retirees for a long while now. I realize I like spending a lot of time alone: my thoughts become louder, and I'm able to think things through. I should've brought my Bible, or a thick book, because reading requires much solitude, perhaps the only time when I'm actually silent. Hizon's may well be the Starbucks of the old, and I feel that I fit right in. NOT ENOUGH Filipinos are reading, but I hope that's changing. At National Bookstore today, I saw the following titles—catchy, thought-provoking, contemporary, perhaps funny. I haven't heard of the names of the authors before, but these books must have a place in our nation's literary diet, if there's one that exists. PILGRIMS, my prayer and Bible study group, meets Thursday nights. You could say that since I've joined the cell, I've become very fond of and close to this funny, sporty, Scripture-loving group of middle-aged men in church. In our on-going series on the Lord's Prayer we discussed "Give us this day our daily bread." "Bread" refers to our physical needs. "Daily" means we must ask God for these needs on a daily basis; He can flood us with blessings, but He wants that we depend on Him daily, the same way the Hebrews got manna every day. Praying for food, shelter, and clothing is necessary. A key point in Kuya Vance's teaching is his emphasis on the fact that God does choose to provide us more than what we need at any given time. This fact rings true for many of us who don't have to labor 24/7 just to put food on the table. We have more than enough, when we think about it. Praise be to God for His manifold blessings. RAIN AND WIND are keeping people inside their homes. The typhoon is called Lando. No classes in Manila tomorrow, declares the local education department—a fact that leaves us, employees, salaried men and women of the Philippine workforce, wondering if we don't have to report to our offices as well. 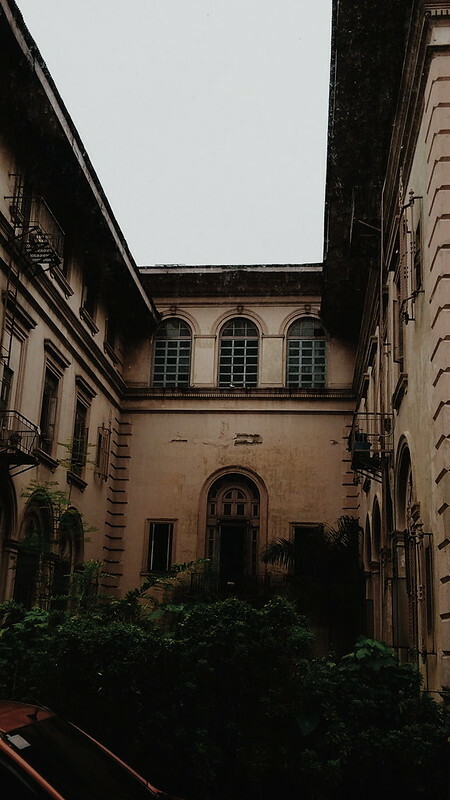 I spent the entire afternoon sleeping, relishing the bed-weather, hearing the howls of wind outside. I WENT with Mervyn Leones and Danes Guevarra—friends and colleagues in IM—to an unassuming store for watches in a mall in Manila. It was raining, traffic wasn’t as bad as we had expected, and the drive was uneventful. Carlos, when I made him wear my spectacles. With us was Carlos Cuaño whose new-found calling is making sure we get good deals. He knows a lot about rotors, automatics, and quartzes, and has done extensive research on the subject, so much so that he can write an entire dissertation on Japanese Watches And Why People Who Live There Are Always on Time. He, by the way, is almost always late. My view from Room 123, Gen Med Clinic, Out-Patient Department Building, UP–PGH. THE END of first year residency is coming—this fact I had realized when Ma’am Lia met with my batch to ask us how were were. We seemed to be doing well, she said. 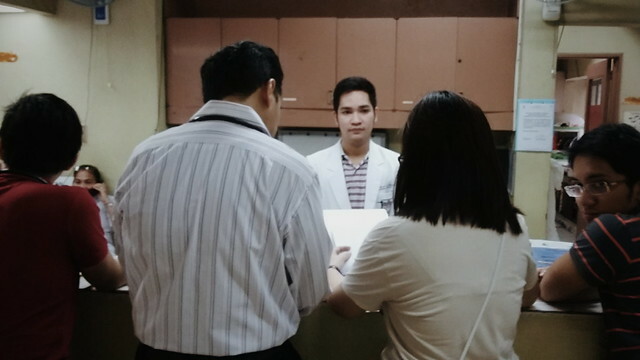 She was pleased with the fact that we seemed to have adapted and adjusted to the culture of residency training at PGH–IM.